Marco Zuccarini graduated from the State Conservatory of Milan majoring in piano and clarinet and continued studying at theAccademia Nazionale of S. Cecilia with Riccardo Brengola. In 1982 he was awarded the “Peterlongo” prize at the Accademia Chigiana of Siena. He has worked intensively as a chamber musician and has performed in many cities across Europe, participating in important festivals with well-known artists. Since 1989 he has concentrated his career on conducting and has worked with celebrities such as J. Carreras, S. Accardo, A. Piazzolla, Duo Gulli-Cavallo, J. Achucarro, M. Campanella, B. Petrushansky, P. Amoyal, G. Carmignola, N. Beilina, F. Maggio-Ormezowsky, C. Gasdia, A. Lonquich, C. Desderi, B. Lupo, P. de Maria and F.-Joel Thiollier. In 1990 he established the Orchestra del Teatro Olimpico of Vicenza and made the first modern recording of “Le Nozze” by Baldassarre Galuppi. He has also recorded the IV concerto for piano by Beethoven with Maria Tipo for the Italian Radio and Television (RAI). In 1996 he recorded a concert in Naples in memory of Padre Pio with Milva, which was televised on RAIUNO. It included the first Italian performance of “Alleluia” by Sergio Rendine. In Milan he conducted the premiere of the ballet “Der Demon” by Paul Hindemith involving the principal solo ballet dancers of the Teatro alla Scala. He has also made recordings for Bongiovanni and Music and Arts (Harmonia Mundi). 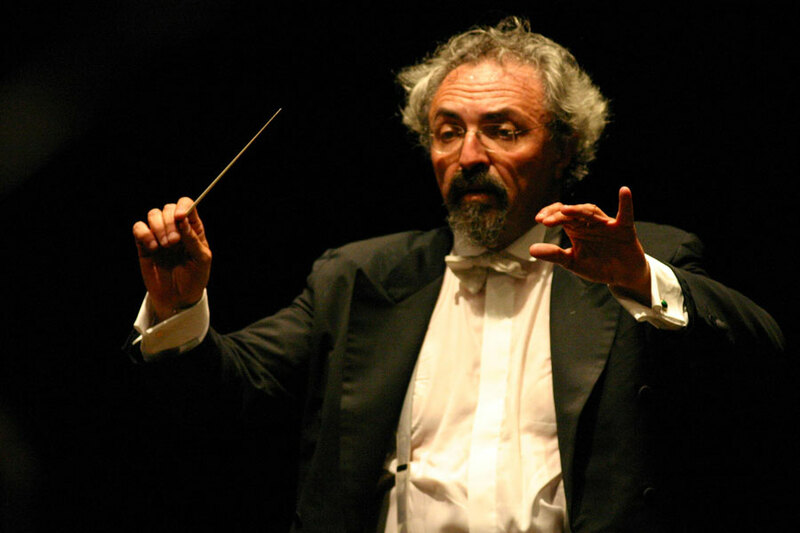 He worked as Resident Conductor for the Orchestra Sinfonica Abruzzese from 1992 to 2000 and he was professor of chamber music at the Conservatory in L’Aquila. In 1998 he was invited to Australia to conduct the Australian Youth Orchestra to celebrate the 50th anniversary of the Australian National Music Camp (the concerts were recorded for the A.B.C.). During that tour he also conducted the West Australian Symphony Orchestra in Perth. His tour was so successful he was immediately invited to run a series of master classes at the University of Melbourne returning both in 1999 and 2000 to conduct the symphonic orchestras of Melbourne, Sydney, Adelaide, Tasmania and West Australian. In 2001 he returned for another tour with the Melbourne Symphony Orchestra at the Myer Music Bowl, the Tasmanian Symphony Orchestra and the Canberra Symphony Orchestra. Marco Zuccarini has also performed in Latin America, where he was invited to conduct the Philharmonic Orchestra of Bogotà in 2000. His engagements this year include a performance of “Werther” (prose accompanied by music) by Gaetano Pugnani with the narrator Sylvano Bussotti, the first European performance of two passages by the celebrated Australian composer Peter Sculthorpe at the Teatro Bellini of Catania, and in 2002 he will be conducting the Auckland Philarmonic, New Zealand and he will be back in September 2003 for two programs. In August 2002 he conducted a concert for the 50th Lubljana Festival with Maxence Larrieu and the Acùcademia I Filarmonci di Verona live broadcasted by the Slovenian National Radio. In January 2003 he conducted in Teatro di Cagliari the world Premiere of “Notti Sylvane” by Sylvano Bussotti and in October 2003 he conducted in the Sydney Opera House with six performances of “ Madama Butterfly” by Puccini. In the symphonic season 2003/2004 of Auckland Philarmonia he conducted 5 different programs, in April 2004 2 symphonic concerts at Teatro Bellini in Catania and 3 performances of “La Serva Padrona” by Paisiello for the opening of Sangiorgi Theatre in Catania. He will be back to Teatro Bellini, in the Symphonic Season, with 2 concerts in April 2005. In July 2004 he conducted 3 concerts with the Accademia della Scala Orchestra and in February 2005 he will debut in Bucarest conducting the “G: Enescu” Philarmonia and recorded with Teatro Bellini in Catania a dvd of “La Serva Padrona “ by Paisiello ( first world-wide recording on dvd) for Fabula Classica. In 2007 he had his debut with Orchestra Sinfonica Siciliana in Palermo. From 2008 he teaches chamber music in Turin Conservatory. In October 2009 he conducted in Lecce, Carlo Grante as soloist, the world premiere of “ Concerto Italiano” composed by Roman Vlad. From November 2015 he is appointed as Director of Turin Conservatory.